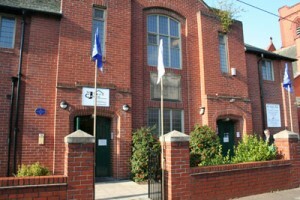 The Centre is on St John’s Road, behind the big red church (St John’s) on Ayres Road in Old Trafford. Our office is open Monday-Friday from 10am-4pm. Staff are sometimes available outside these times, but please call first, especially if you are travelling a long way. Have you spotted a mistake? We hope not, but please report typos, bad links or mistakes here. Thank you!